Defending champion Adam Scott says he is "quietly confident" about his chances for the 2014 Masters, as he aims to become the fourth player to win back-to-back Green Jackets. Scott became the first Australian to win at Augusta when he beat Angel Cabrera in a play-off 12 months ago. 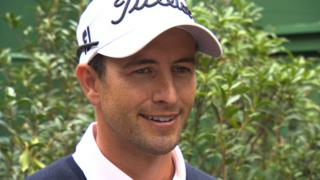 Scott also says he hopes his victory in 2013 will "start a real run" for Australian success at the Masters.